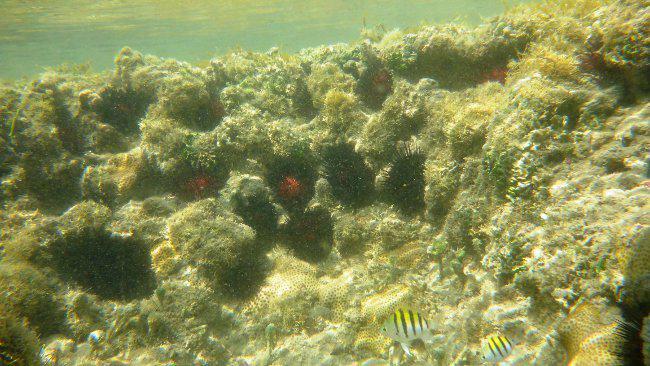 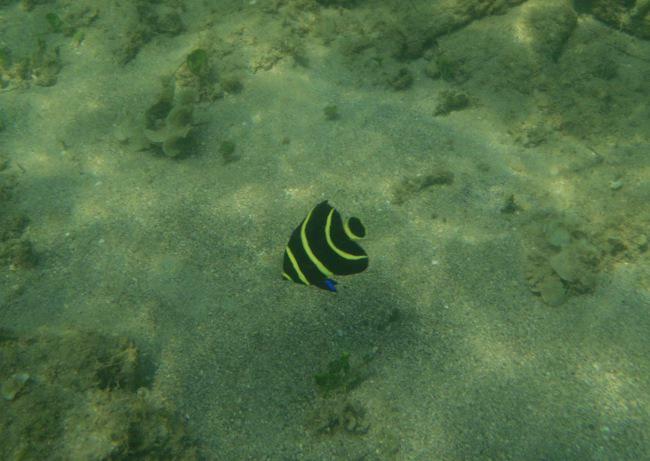 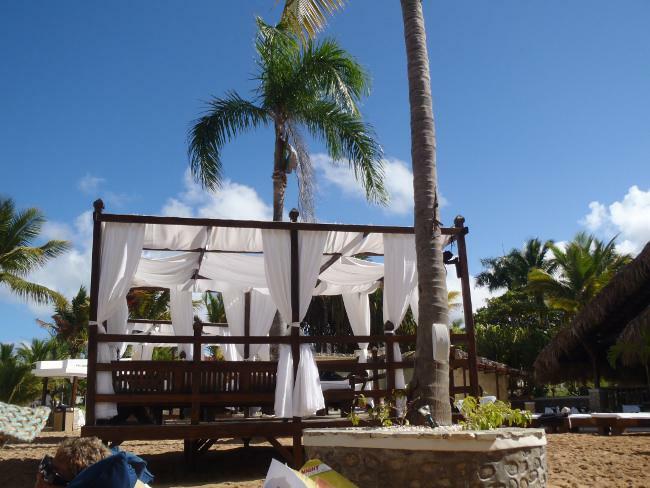 Serenity Beach is located on a secluded part of the resort, right in an ocean cove that enjoys a gentle breeze all day and is the perfect snorkeling spot. 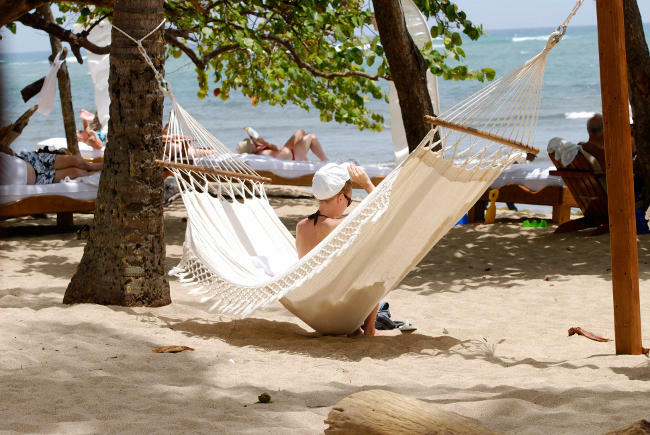 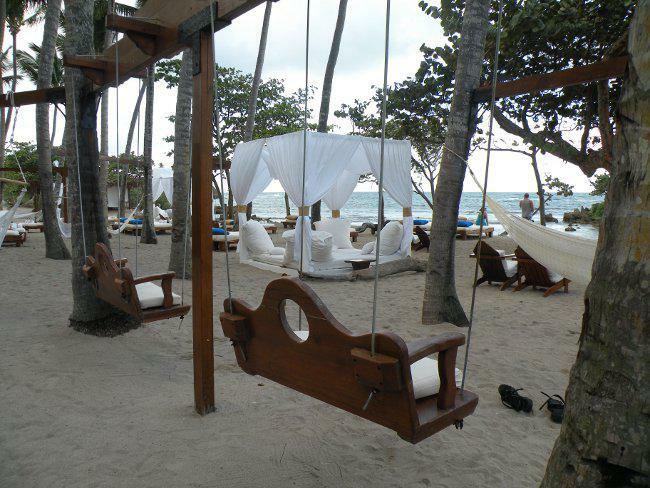 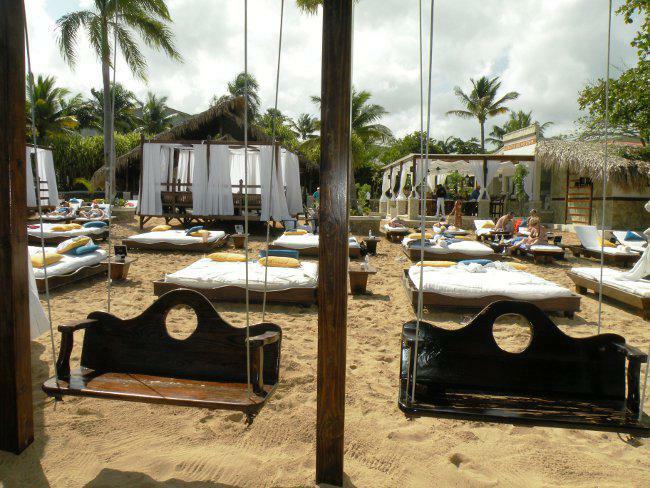 This beach area is fully equipped with hammocks and swings strung between the palm trees, beach beds and family style beds with huge pillows. 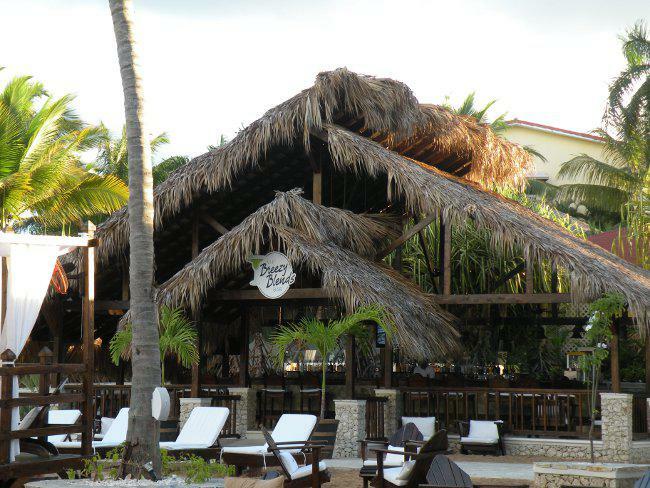 A full service bar and an eager staff is waiting to serve you. 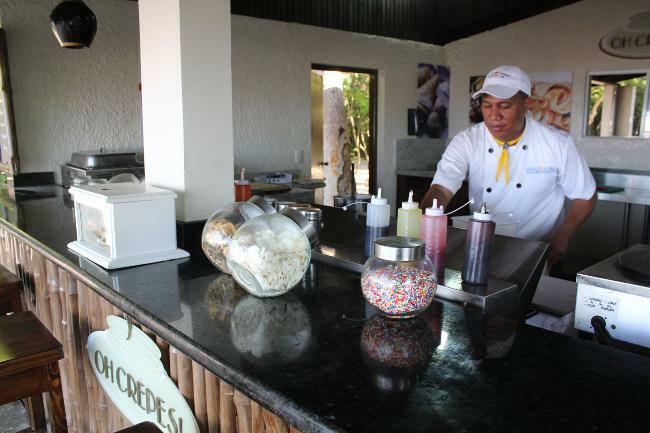 Treat yourself to gourmet crepes made to order at Oh Crepes! 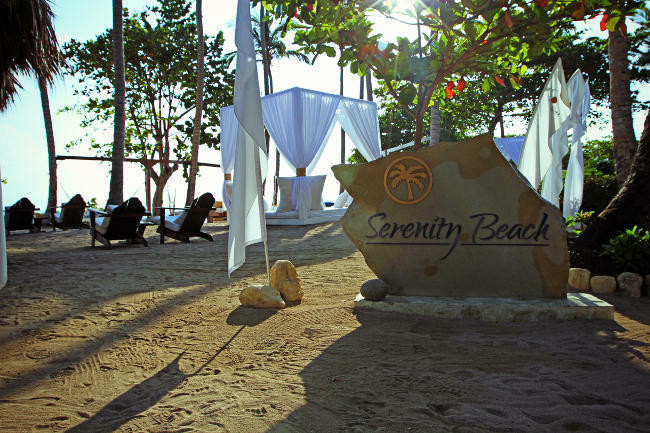 Serenity Beach is Wi-Fi accessible. 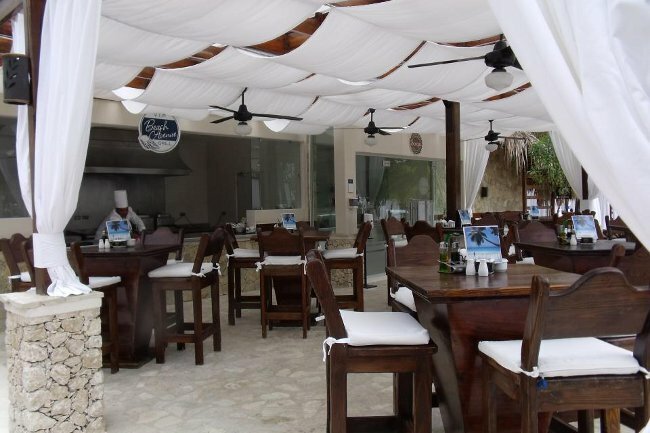 This area is also set up to serve various foods for lunch. 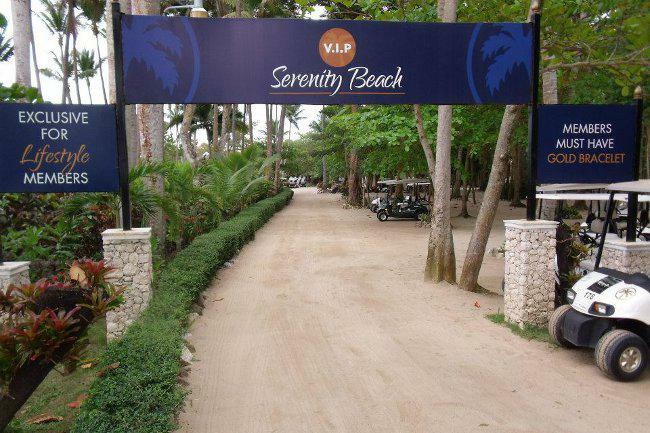 Must have a Gold Bracelet to access this beach. 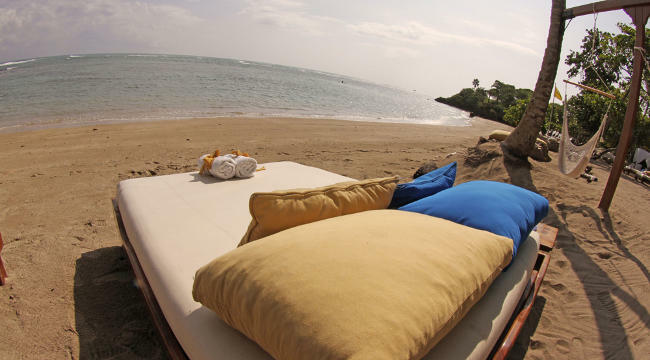 This beach is aptly named. 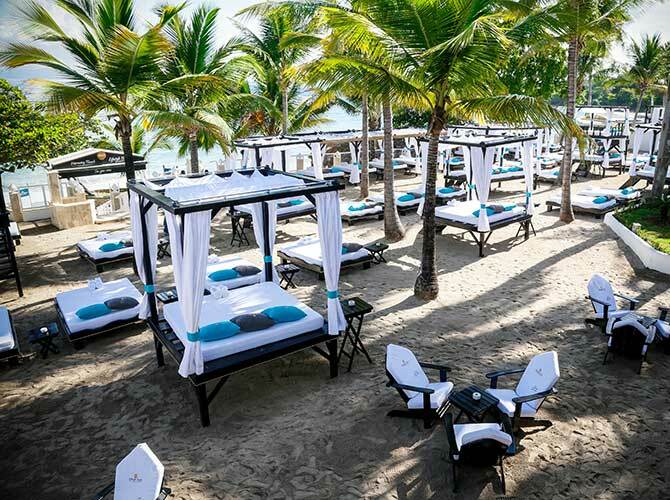 With elegant beach furniture, giant open-air cabanas, swinging beach beds, a giant cool water Jacuzzi with waterfall, the resort's only ice cream bar, beach bar with TV's, and self-serve popcorn and nachos. 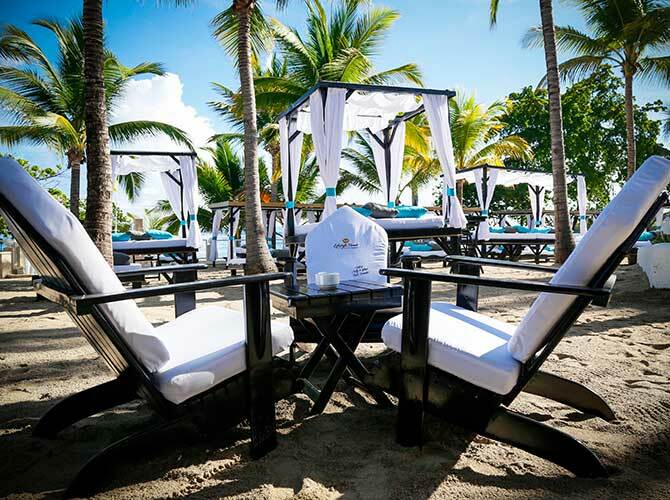 Order lunch at the Beach Avenue Grill, or from your beach butler, while enjoying views of the ocean. 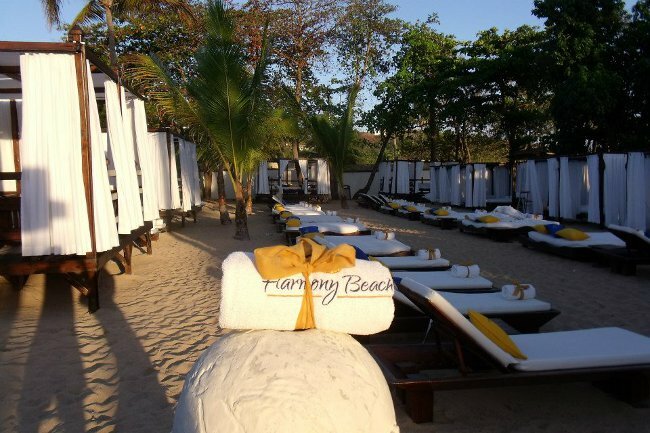 Harmony Beach is Wi-Fi accessible. 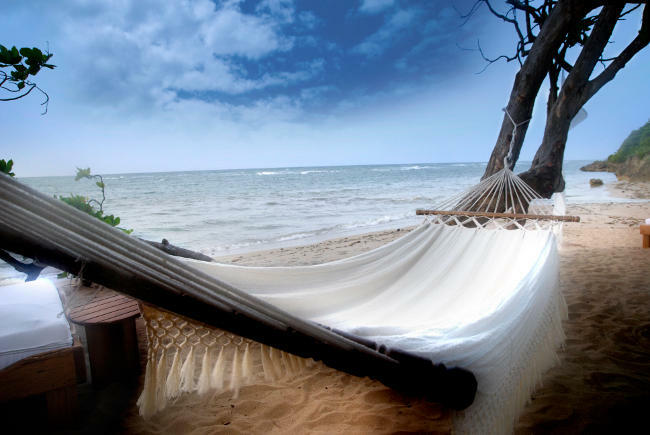 This is the Lifestyle you deserve! 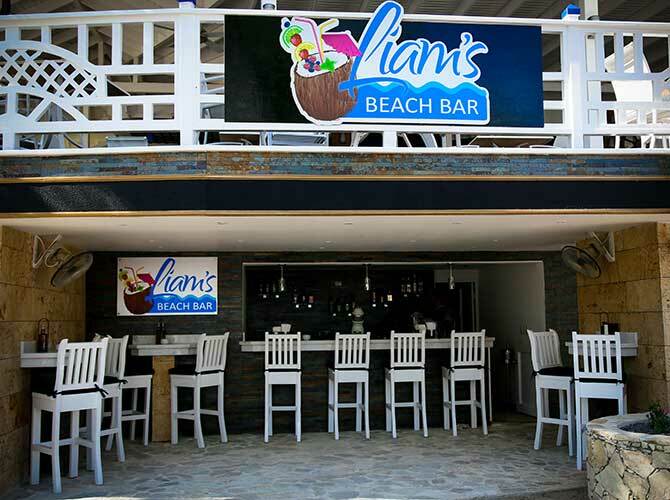 With direct access to Cofresi Beach and the Ocean, relax in a cool water jacuzzi while sipping a frozen drink from Liam's Beach Bar. 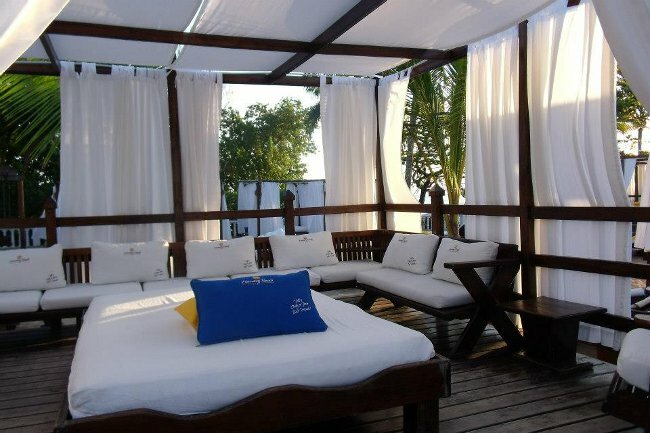 Read a book or hang out with your family and friends on the family sized and double decker beds. 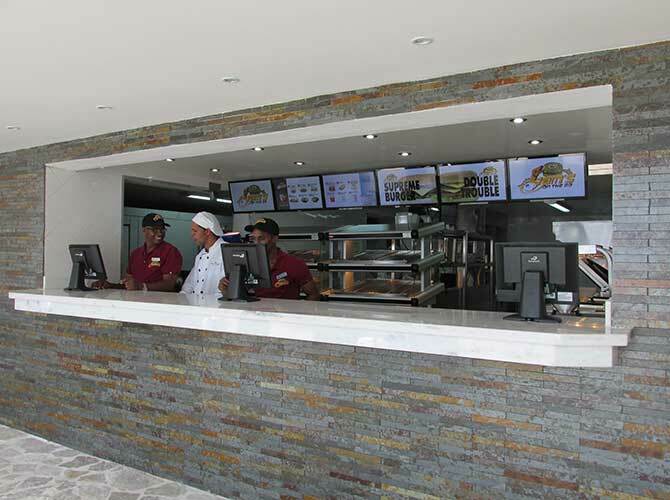 Liam's On The Go serves comfort food for lunch like hamburgers, hotdogs, wraps, salads and fries. 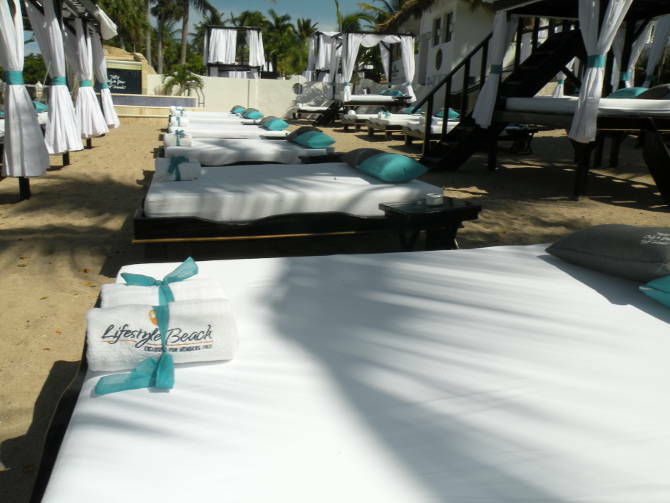 Just chill and let the beach butlers take care of you. 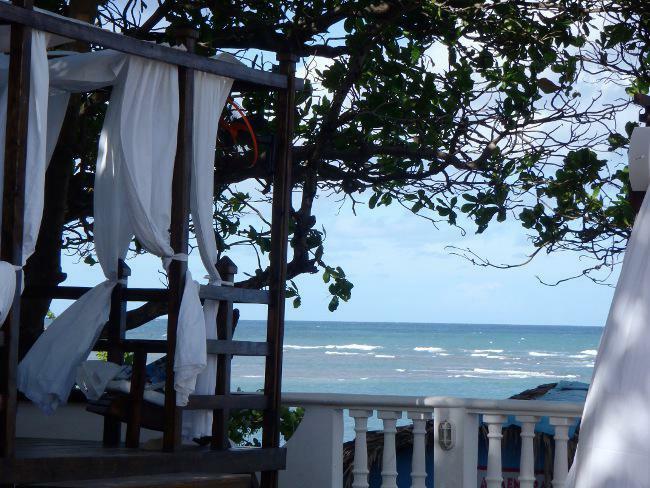 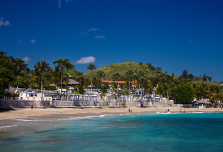 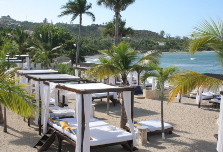 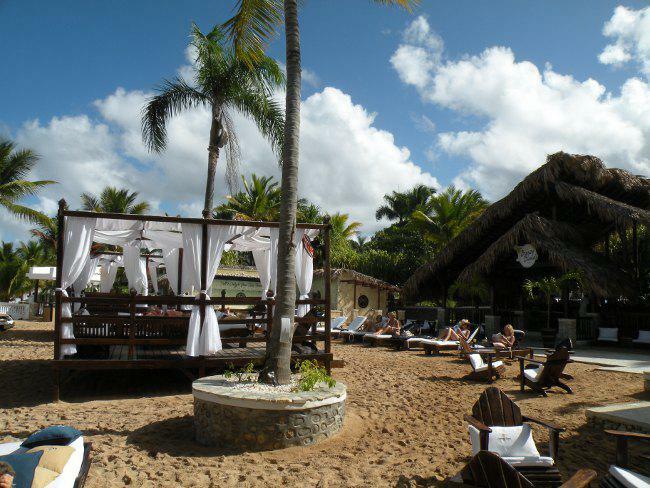 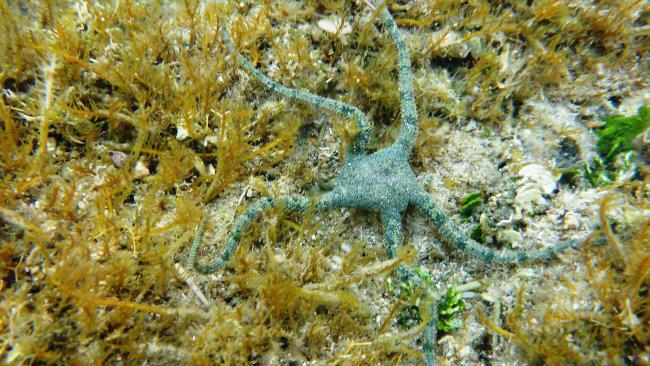 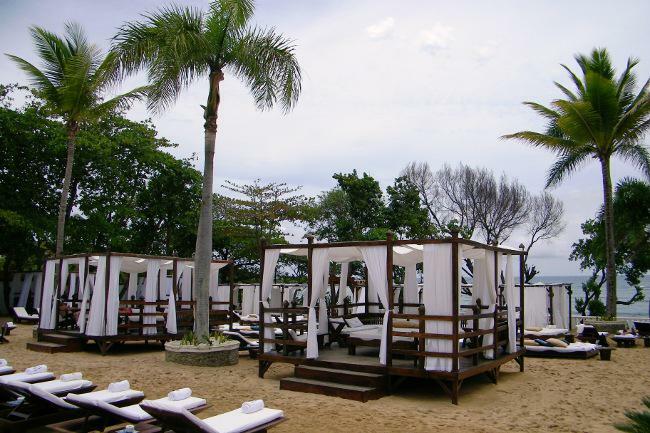 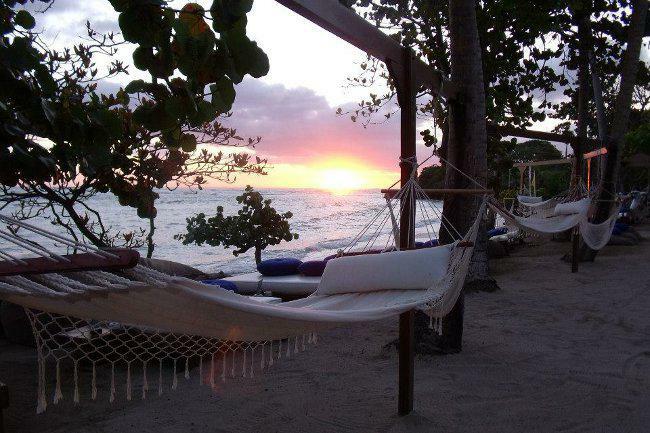 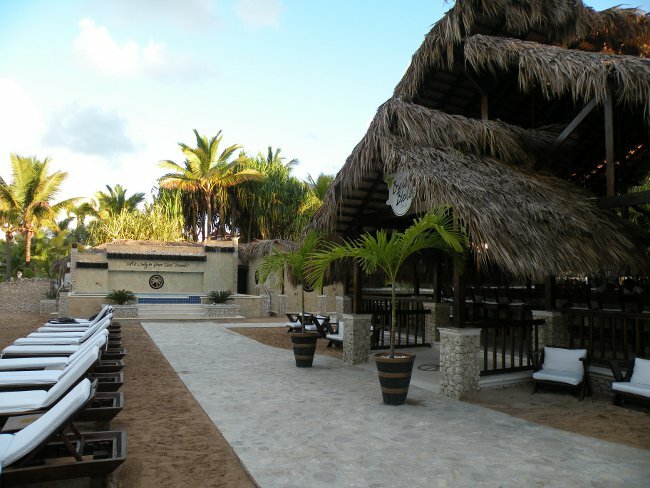 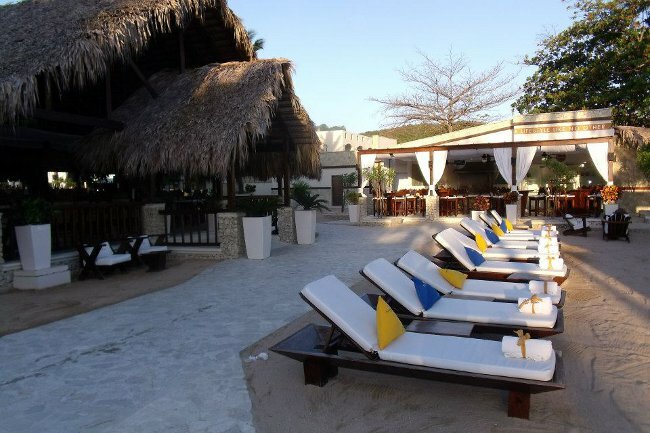 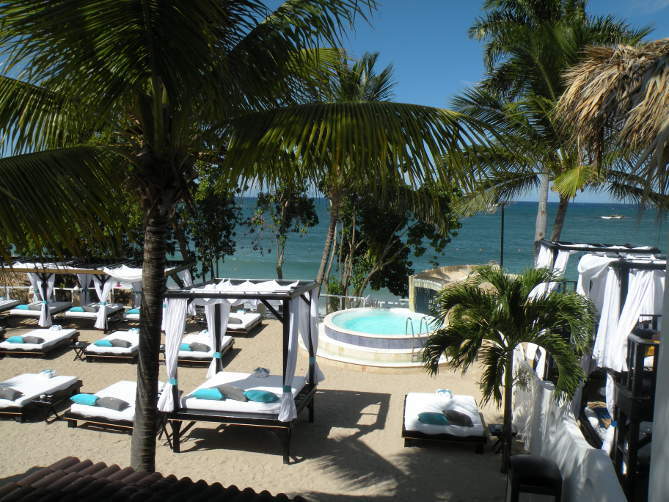 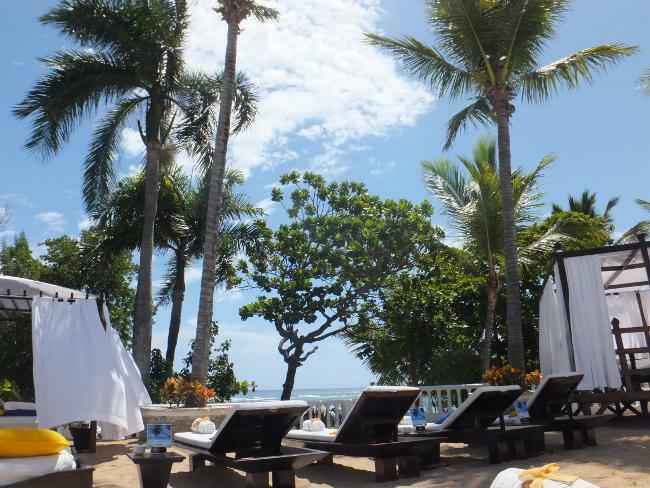 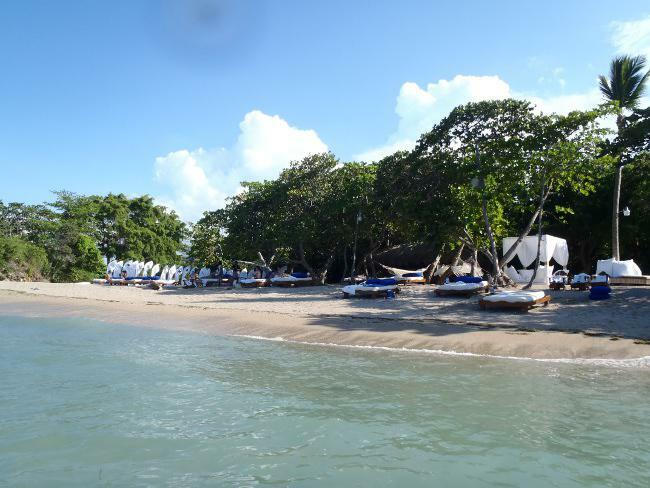 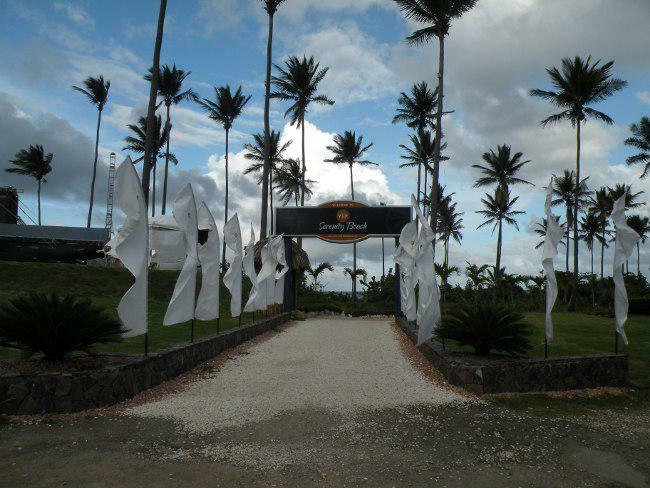 Lifestyle Holidays resort is nestled around Cofresi beach. 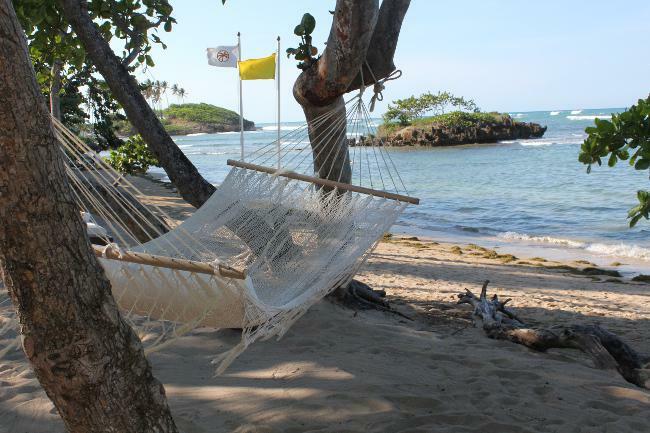 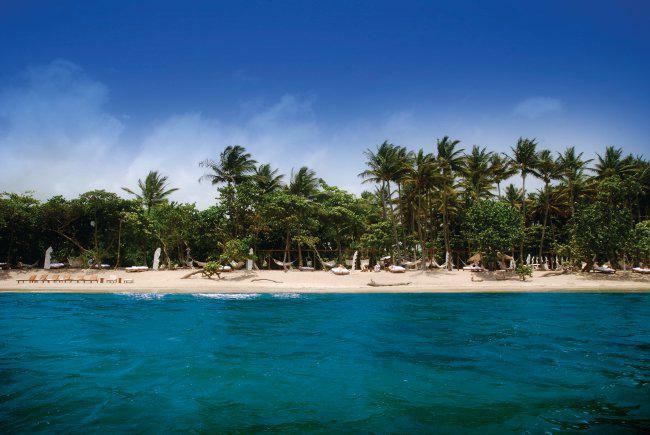 The beach is named after the pirate Roberto Cofresi and is often called “the beach of beach lovers” because of it’s beautiful overhanging palms, untouched golden sand, it’s coral reefs with colorful fish, and it’s views of the high rising mountains. 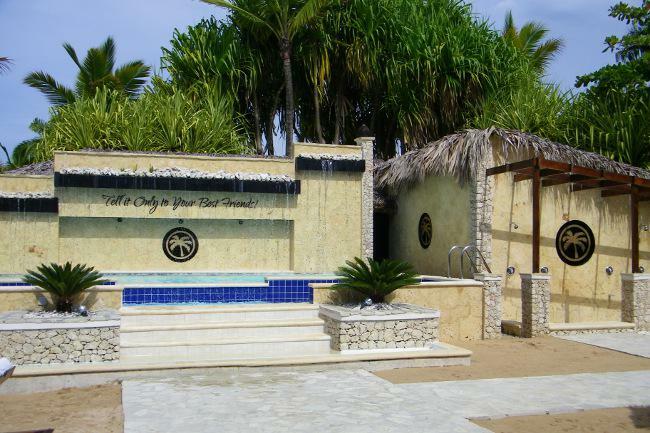 Splash in the ocean in the swim area of the beach, explore, throw a frisbee, kayak, boogie board or sunbathe on loungers. 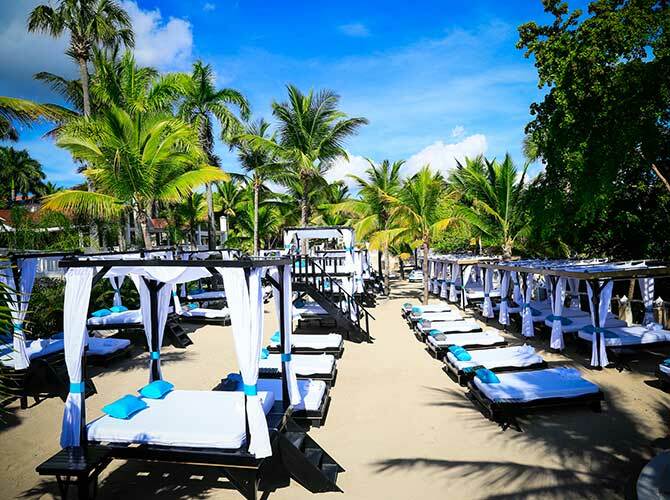 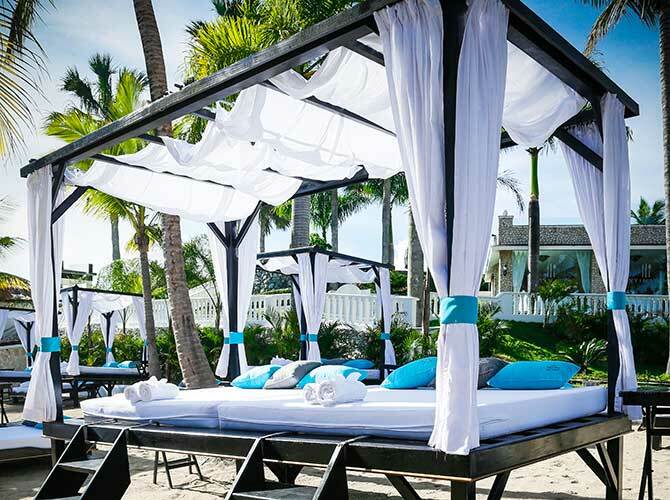 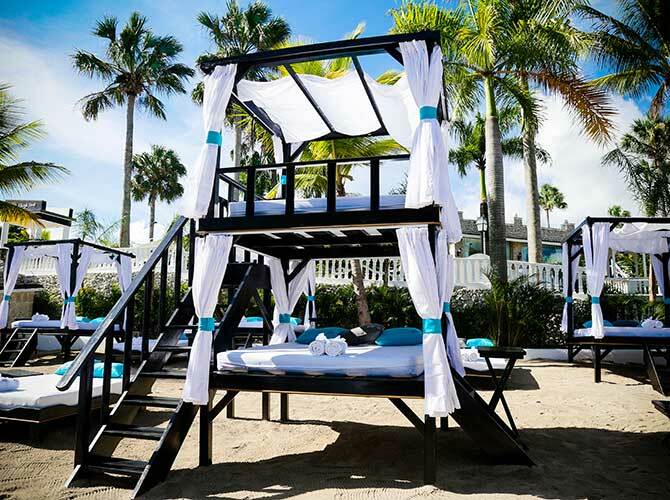 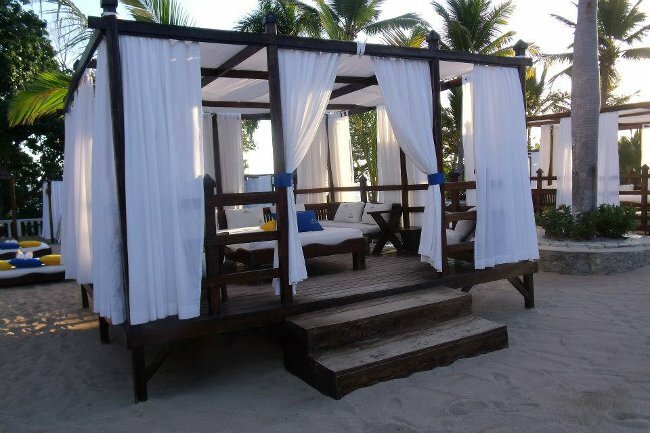 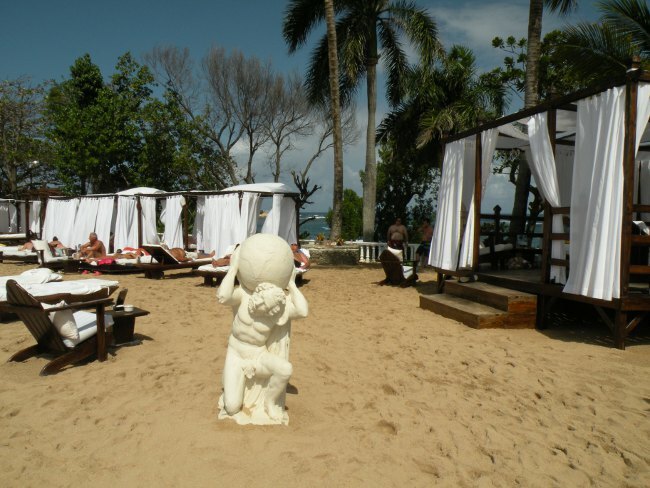 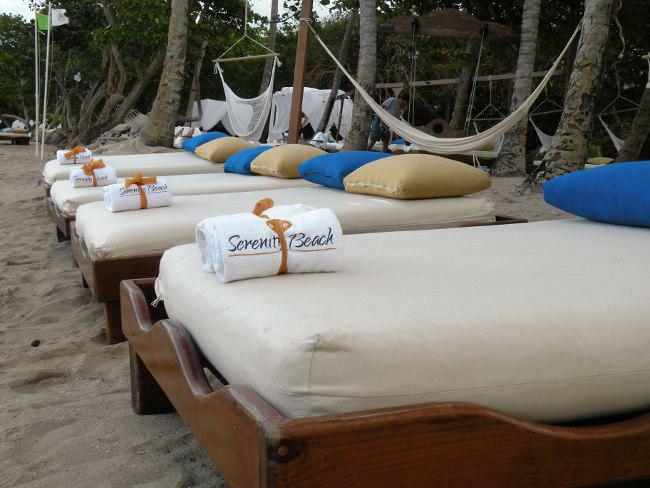 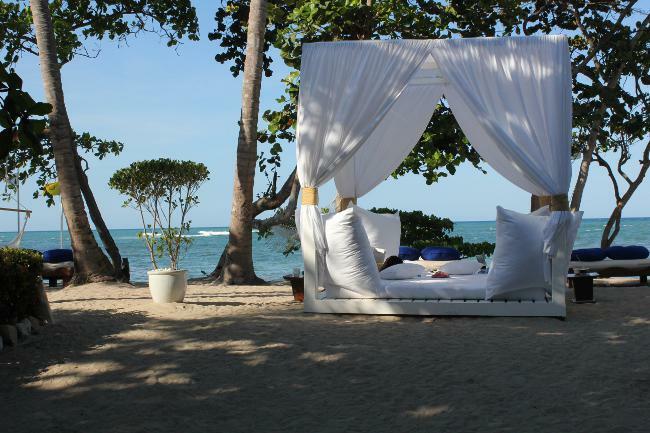 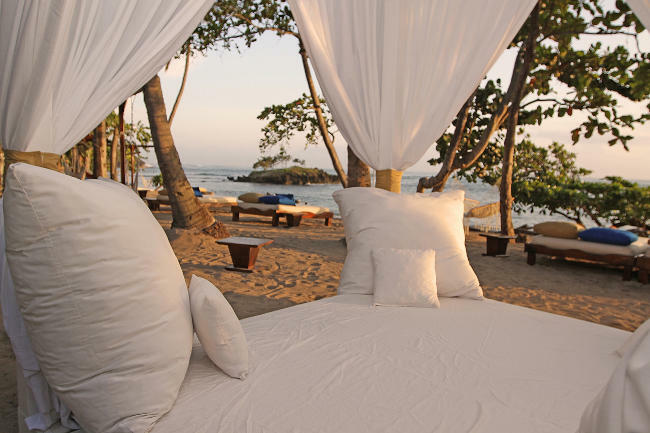 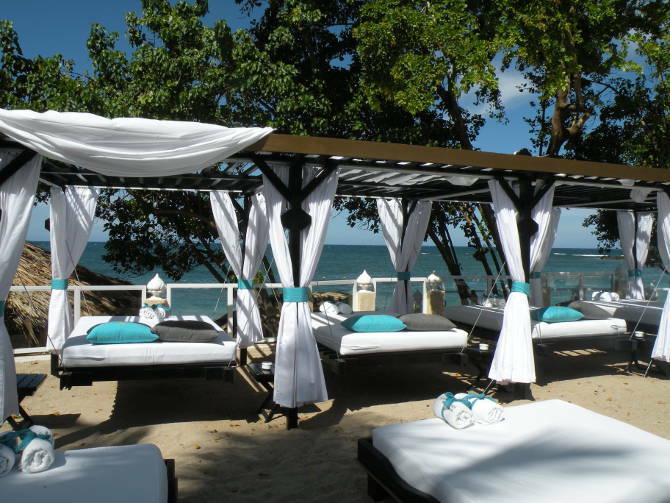 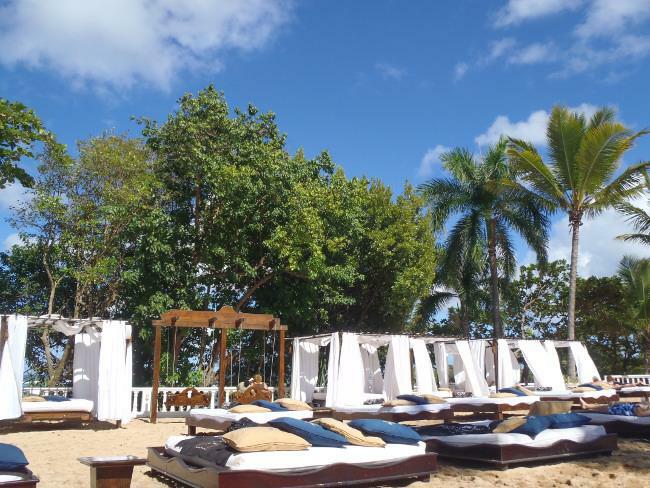 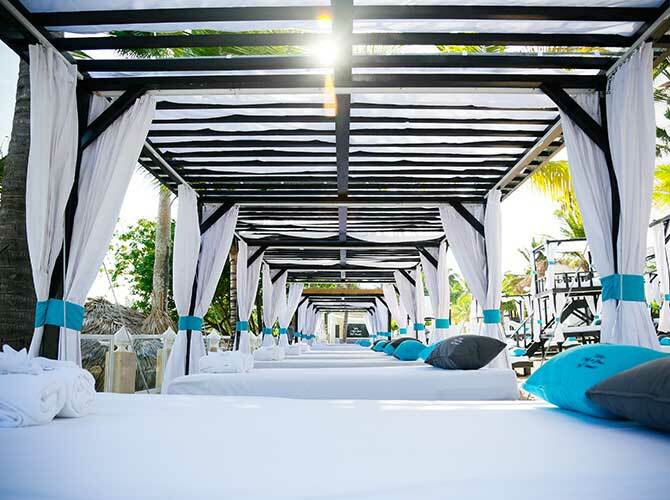 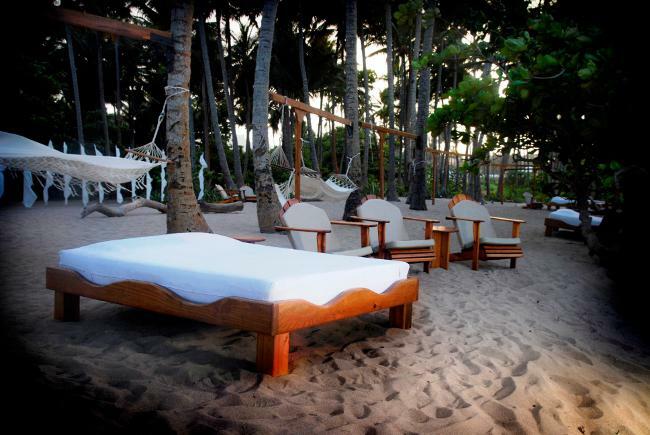 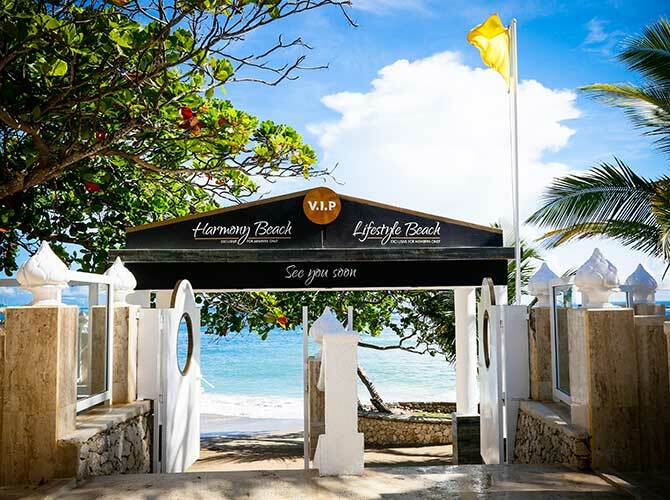 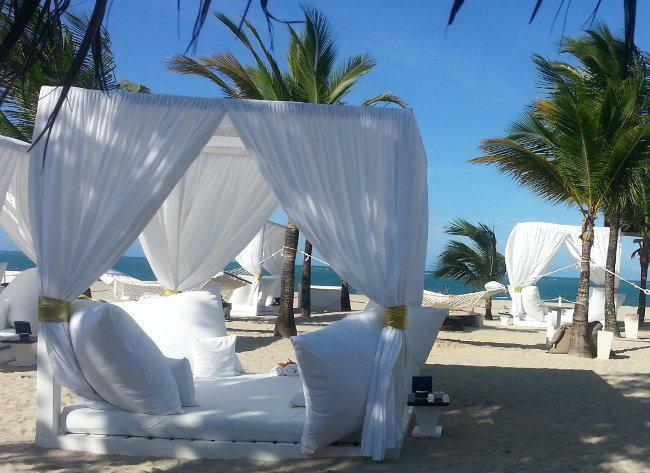 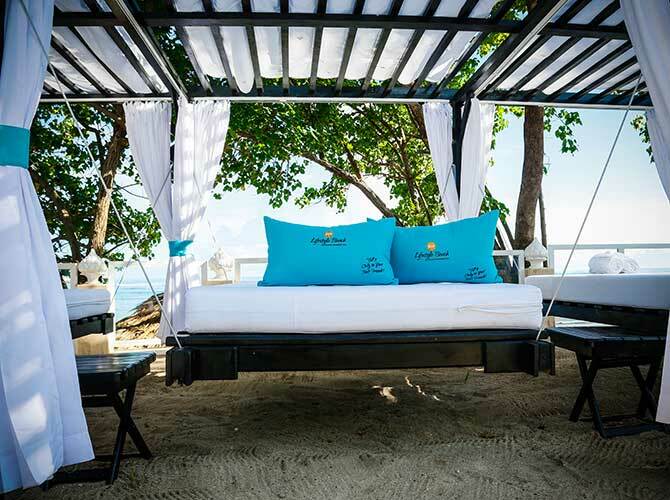 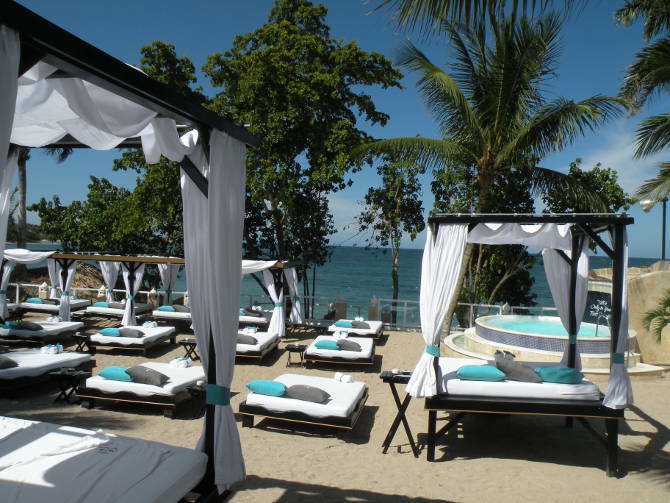 Boasting large luxurious one and two-tier beds with privacy curtains, the V.I.P Beach is a must for total indulgence. 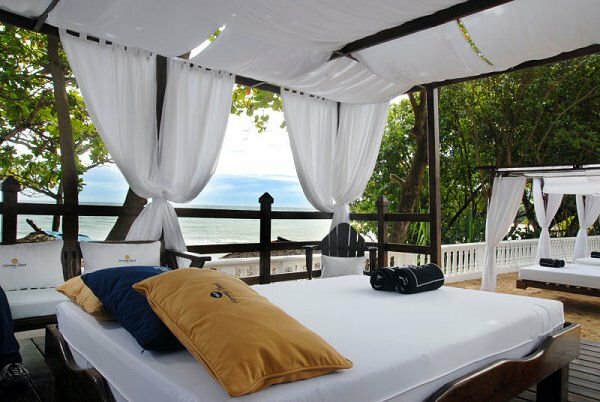 Bed-side service awaits you, so don’t get up, just tell the attentive staff what you want and it will be taken care of! 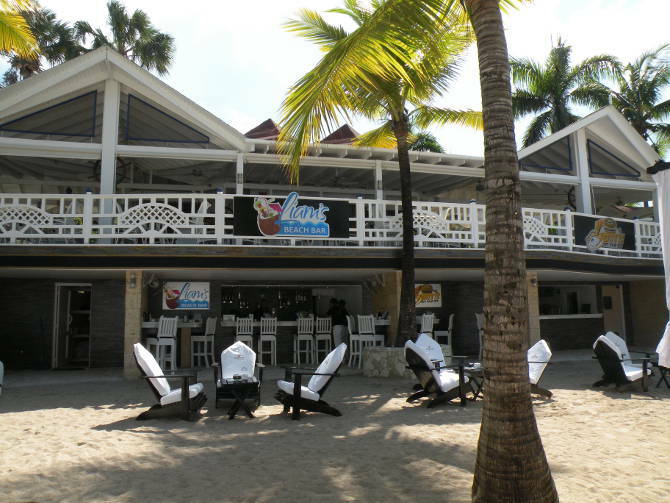 Famous for their highly requested and recommended “Baileys Colada”, the bartenders will whip up any arrangement of international beverage that you can imagine. 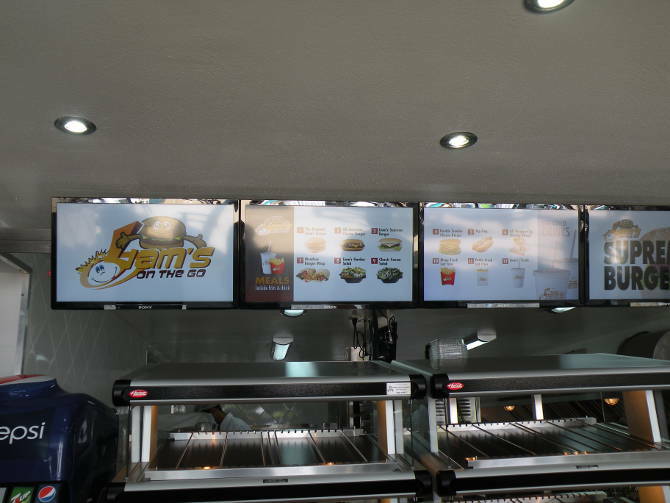 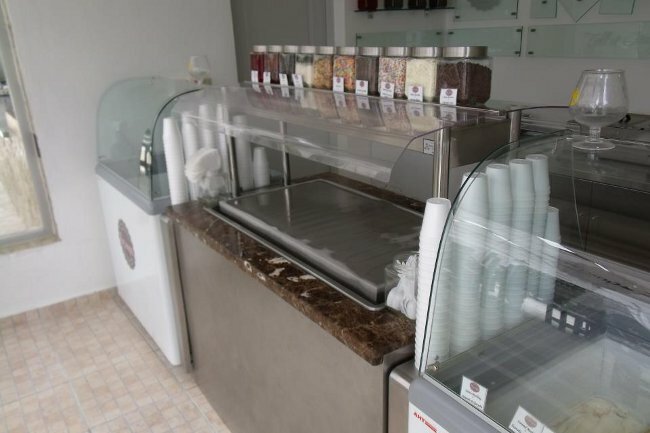 This area is also set up to serve various foods for snack and lunch. 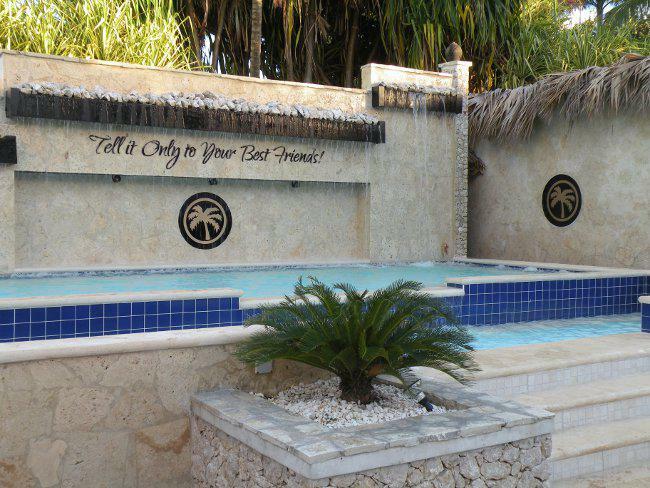 You have a choice of four cool water whirlpools to lounge your afternoon away in. 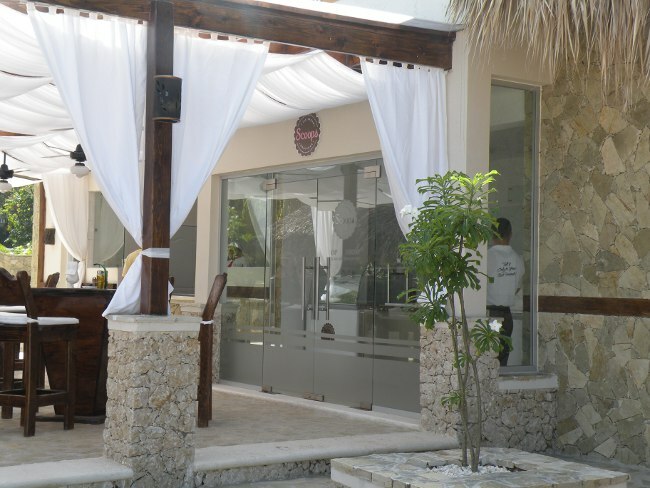 A top rated Sushi-Sashimi bar is just a few steps up, but still, ask your gracious waitress to bring some delicious choices down to you, it will be their pleasure. 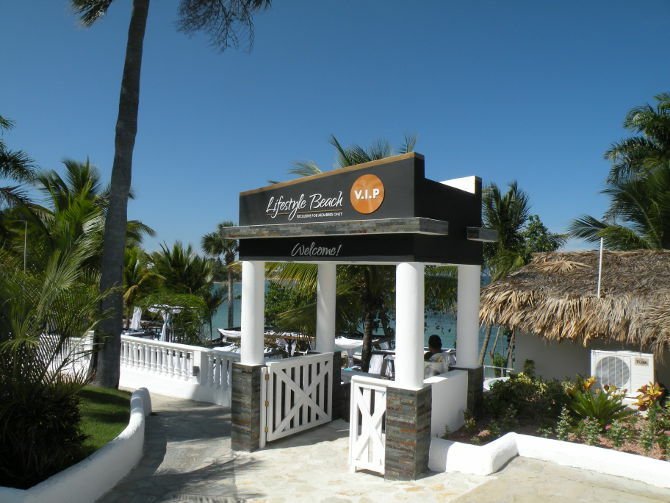 Wi-Fi access is also available at the Sushi bar area. 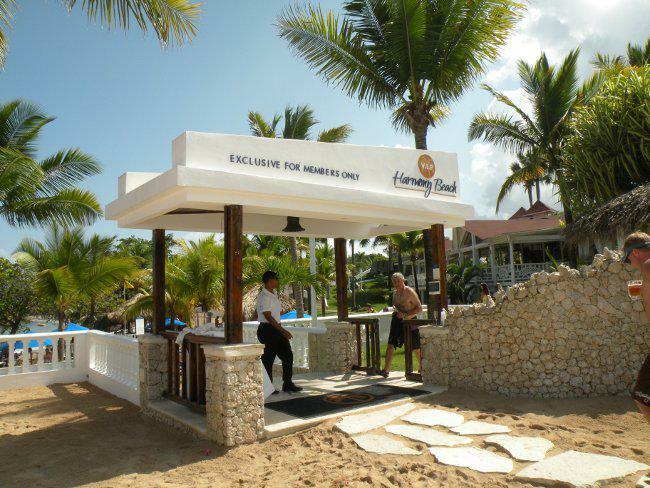 Tip: Get here early, as this area is accessible by guests renting from lower level members and fills up quickly.